New company Poophead launches on the Shopify platform selling hard copies of your photos with poop emojis covering the faces. We’re the 1-800-Flowers of poop emoji-ed photos. Poophead, an online company that adds poop emojis to the your photos and sends your friend a hard copy in the mail, launched this week on Shopify. The service takes a user-submitted photo, adds poop emojis, and sends it to anyone in the US for $5.00. "In this age of digital clutter and over-connectedness we are all inundated with messages from every direction. It takes a truly unique and memorable message to cut through the clutter. Poophead offers a solution for those looking to make a lasting impression," says cofounder Brad Church. The website suggests sending a Poophead to virtually anyone, from a close girlfriend or boyfriend to a nationally renowned politician. “We’re the 1-800-Flowers of poop emoji-ed photos and we really do want to delight people just as much if not more than any other company out there,” says Bowen Smith, the other cofounder of the small online brand. The online store is unique among other Shopify stores in that it almost exclusively sells customized content. This requires each order to be handmade in Bellingham, WA as they are received. The company’s mission, which sounds like hippie jargon where the word ‘love’ has been replaced with the word ‘poop,’ boasts that "poop is both ubiquitous and ambiguous. It is both enraging and endearing…[but] it always gets a reaction. We’re here to spread the poop around." 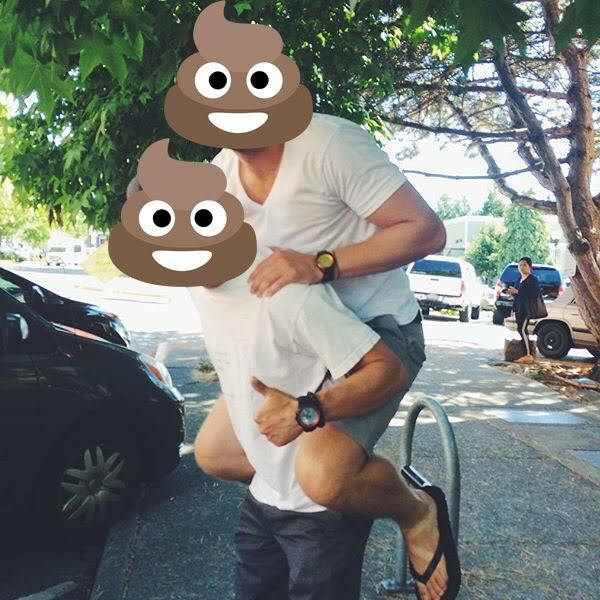 Poophead is an online store on the Shopify platform that customizes your photos with poop emojis. It was founded in the Spring of 2016 by Brad Church and Bowen Smith. In addition to customized photos they also sell stickers. They are competing in the Shopify Build a Business Competition. To learn more about Poophead, its recent launch, or to book an interview, contact Bowen Smith or visit the website at http://www.poopheadshop.com. Logo PoopheadCover your friend's faces with poop emojis.